It should have been the year in which Mercedes is replaced at the top of Formula 1. Instead, Mercedes writes new records. Nico-Rosberg old record remains. Third race of the season, third double victory for Mercedes. For 27 years, no team has achieved such a perfect start into a new season. The last time a team achieved such a kind of feat was in 1992. It was Williams team with Nigel Mansell and Riccardo Patrese. In 2019 Williams is the only team without points. 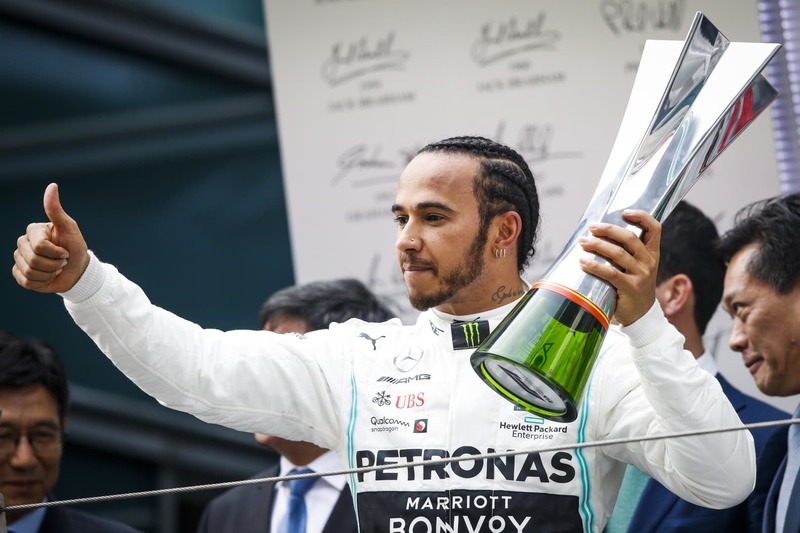 If the two Silver Arrows also occupy the next three Grands Prix in first and second place, then they could break the previous record of five double victories in a row. So far this has been accomplished by Ferrari (from Belgium 1952 to Holland 1952 with Alberto Ascari, Giuseppe Farina and Piero Taruffi, Hungary 2002 to Japan 2002 with Michael Schumacher and Rubens Barrichello) and Mercedes (Malaysia 2014 to Monaco 2014 and USA 2015 to Australia 2016 with Lewis Hamilton and Nico Rosberg). Three double victories for the Silver-Arrows. In the eternal F1 rankings for the most double victories scored lies Ferrari (82) ahead of McLaren and Mercedes (47 each). After his 75th victory last weekend, Lewis Hamilton only needs 16 more to catch Michael Schumacher’s record. This counts for the record of pole positions as well where he is behind the 100th mark. Pierre Gasly is the 133rd driver in F1 history who achieved the fastest lap during a race. This is noteworthy as this year the fastest lap each race is rewarded with a point. Kimi Raikkonen scored again points as ninth in the last race in China, but he wasn’t able to qualify in the top 10 last Saturday breaking his streak of 53 races in a row. Therefore, Nico Rosberg record of 60 Q3 entries in a row for qualifying will remain intact of some time. Sebastian Vettel leads the series now with 29 Q3 entries, Lewis Hamilton with 13, and Valtteri Bottas with eleven. In Shanghai, Formula 1 celebrated its 1000th World Championship race. But it wasn’t the only anniversary that day: Toro Rosso completed its 250th Grands Prix. The next celebration will be held at the German GP 2019: Mercedes will celebrate its 200th World Championship race. *This article was first published in German at autobild.de/motorsport. Previous articleF1 1000: Who was the Best?